Scenic has unveiled fresh details of its submersible vessel which will be available for guests on the Australian company’s Discovery Yacht, Scenic Eclipse. Developed by Dutch submersible manufacturers, the U Boat Worx Cruise Submarine 7 will be capable of diving to a depth of 300 metres with seating for up to six guests and has been custom-built for optimal sightseeing of marine life and wonders. It has been designed to meet international noise standards and to provide unmatched comfort, space and style, with maximum legroom and headroom while keeping overall weight and size to a minimum. This combination delivers the ultimate diving experience. Internal climate control and a surround-sound music system form part of the fine detailing, together with the optimum ergo dynamics to facilitate ease of boarding and disembarking. Scenic Founder and Chairman, Glen Moroney, said the submarine will offer guests a unique opportunity to go below and beyond. 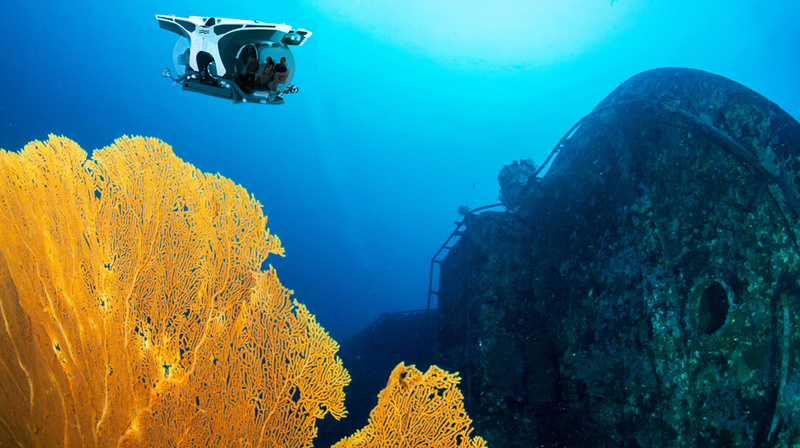 “Scenic has always sought to venture beyond the horizon and with our submarine we provide guests with the opportunity to enjoy unparalleled access to some of nature’s most beautiful marine environments. From inside the U-Boat Worx submersibles, each guest will enjoy an uninterrupted view thanks to the strategic placement of all components and the use of an ultra-clear acrylic hull, expertly engineered to make you feel “at one” with the ocean,” Moroney said. 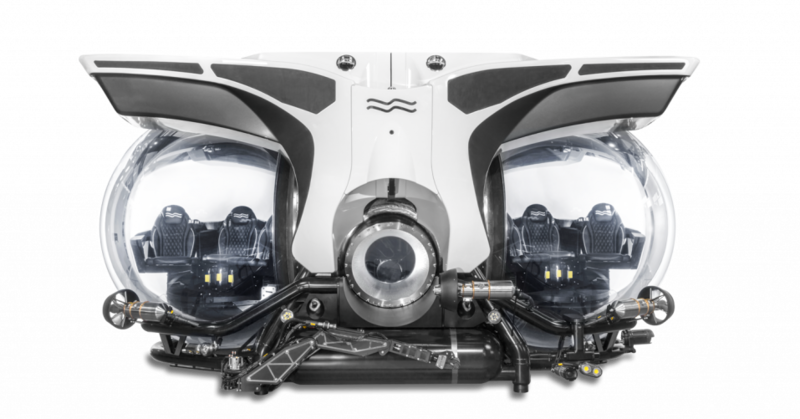 The submersible’s design consists of a three-person pod on the front and at the back of the sub for a total of six guests plus the pilot, who is located behind the guests. The seats are mounted on a platform that can swivel 180 degrees, so guests are able to see both sides of the submarine. Strong exterior lights will allow guests to take in the colours and details of wrecks and other underwater sights.